There’s a lot of different names for low carb diets and a lot of difference in how strict they are. A keto diet, for instance, is low carb, but extremely low carb. The type of low carb diet I always recommend are those less severe and more like natural eating habits. They’re more of a healthy way of eating, rather than a diet. You can lose weight on a low carb diet and the first step is to cut out highly processed food and ones containing high amounts of sugar. Those types of food are empty calories that pack on the pounds. One special type of low carb diet is the keto diet. It seems everywhere you go there are keto foods that include everything from coffee, which contains fat to raise blood ketones, to keto snack bars and pancakes. I believe that any time you have to eat special food, it’s not a diet that you should follow. Just eating healthier is the key. All types of sweeteners, including artificial sweeteners should be cut from your diet for a low carb diet. Processed foods, soft drinks and vegetable oils are also on the list to be eliminated. The keto diet, which is super low in carbs, has side effects, but a traditional low carb diet doesn’t. A low carb diet that I recommend still has carbs for energy. The average American diet gets 50 percent of its calories from carbohydrates, 35 percent of the calories from fat and just 15 percent of the calories from protein. A healthy low carb diet changes the portion of carbohydrates from 50 percent to 40 percent. It lowers the amount of fat to 30 percent and increases protein intake to 30 percent. The carbs in this type of diet come from fruits and vegetables with a small amount from grain products. 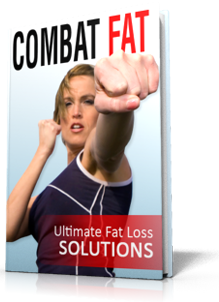 The fat is healthy fat, unlike the typical type of fat found in the average diet. The less severe low carb diet has health benefits, besides aiding in weight loss. 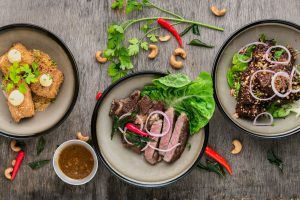 The low carb diet I recommend can help you balance your cholesterol, lowering the bad cholesterol and increasing the HDL or good cholesterol–while also improving triglyceride levels. It helps keep blood sugar stable, which aids in preventing insulin resistance that leads to type 2 diabetes. The increase in protein and inclusion of healthy fat helps you feel fuller longer. More protein also means an increase in your metabolism. If you’re going on a keto diet, you’ll find it’s pretty hard to maintain compared to a healthier version that’s not stripped of as many carbs. For instance, on the milder version, pasta and bread are included in the diet. Increasing protein in your diet can help build muscle tissue. For extra benefits, use organic, free-range or grassfed meat or animal products. It has more heart healthy Omega-3 and CLA—conjugated linoleic acid that also helps reduce body fat. Make sure you include plenty of healthy fruits and vegetables. Even though they’re carbohydrates, they’re complex carbs that don’t spike your blood sugar levels. Include a wide variety of colors on your plate when choosing fruits and vegetables. Limit starchy vegetables like potatoes and eat fewer legumes.